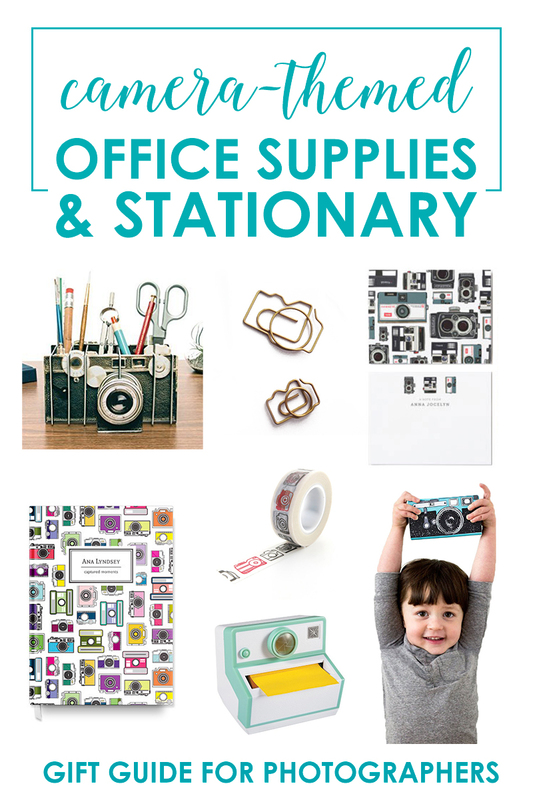 I love pretty office supplies and paper goods! There’s just something so nice about having beautiful things on your desk, and as part of your decor. 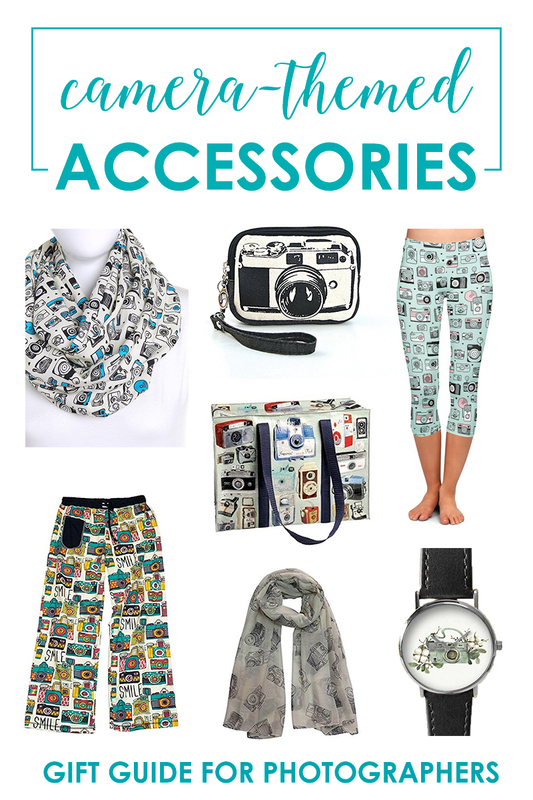 They make easy gifts too, because everyone can use some cute stationary or a new notebook. 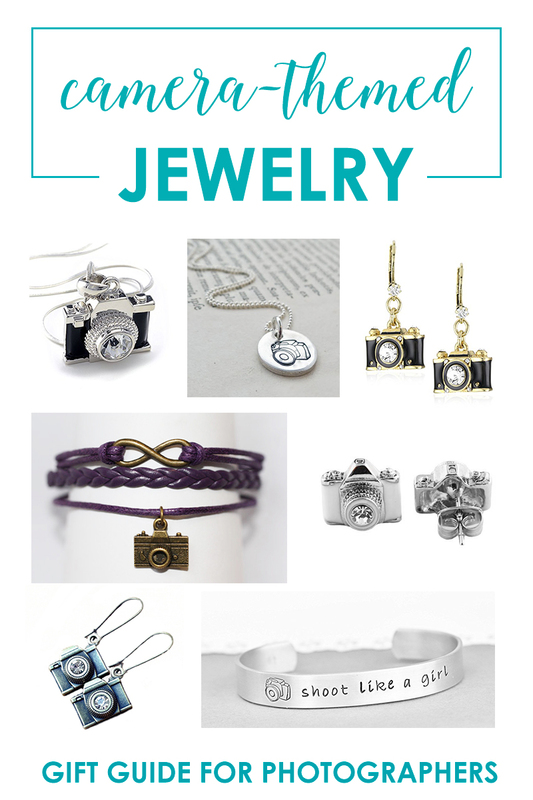 Whether you’re shopping for a photographer or just a mom who loves pretty things, this camera-themed gifts are sure to hit the spot! This post includes affiliate links, which means Snap Happy Mom may earn a small commission on your purchases. 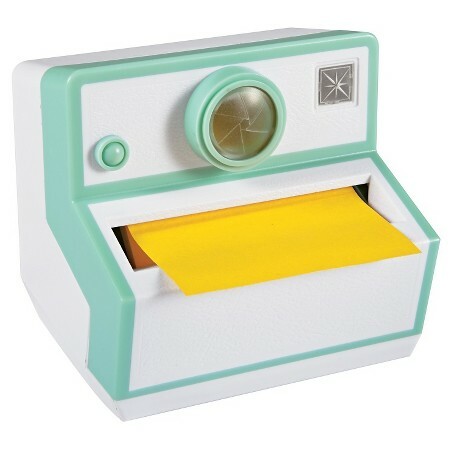 A cute mint and white dispenser for your post-it notes! It was even cheaper at Target here! 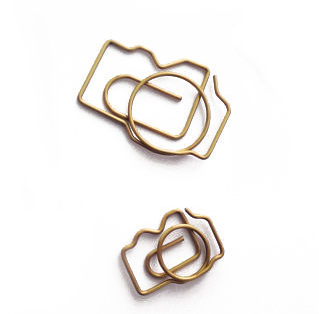 These camera-shaped paper clips are so adorable! 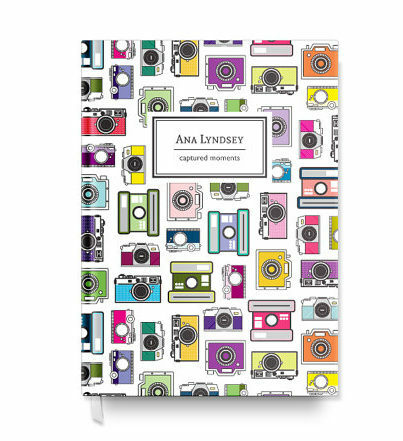 These make a great addition to your planner or as a cute little thank you gift. I found a set of 3 in this shop and a set of 9 in this shop. This pencil sharpener is so cute! It’s a model of the old twin lens Kikkerland cameras. Adorable on your desk or shelf! 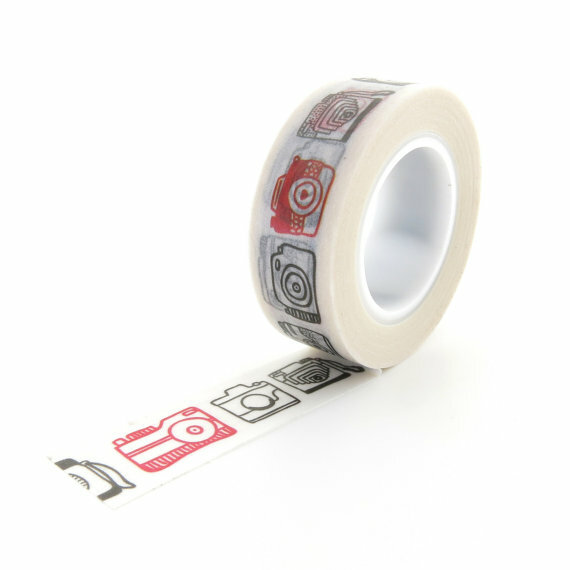 Washi tape is one of the office supplies that makes it fun to decorate everything! 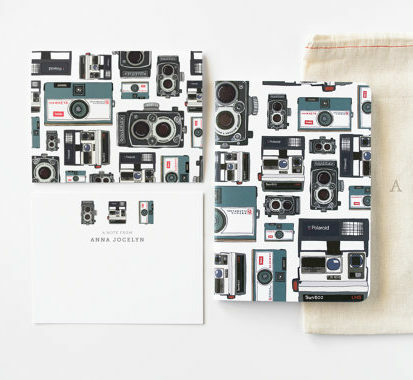 I found a couple different camera themed like this red and black one, a teal one, and a colorful one, but I find they go out off stock quickly, so you may want to just search Etsy for washi tape and see what comes up in the US! 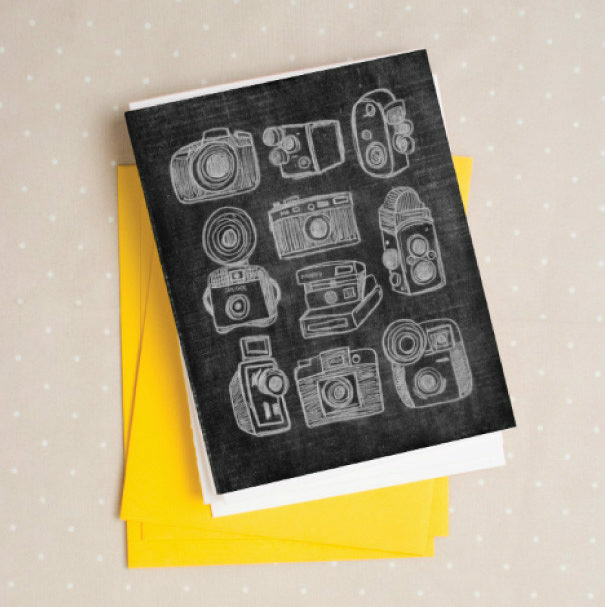 This lined journal is perfect for a travel notebook or photography journal – the old black and white camera on the front are so interesting! 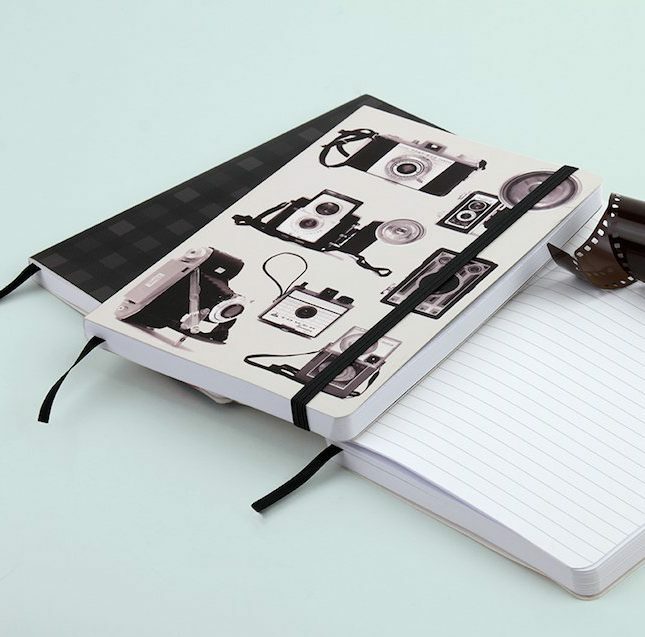 You can have a custom name and byline printed on this cute notebook for a friend. I love all the fun colors on this one! 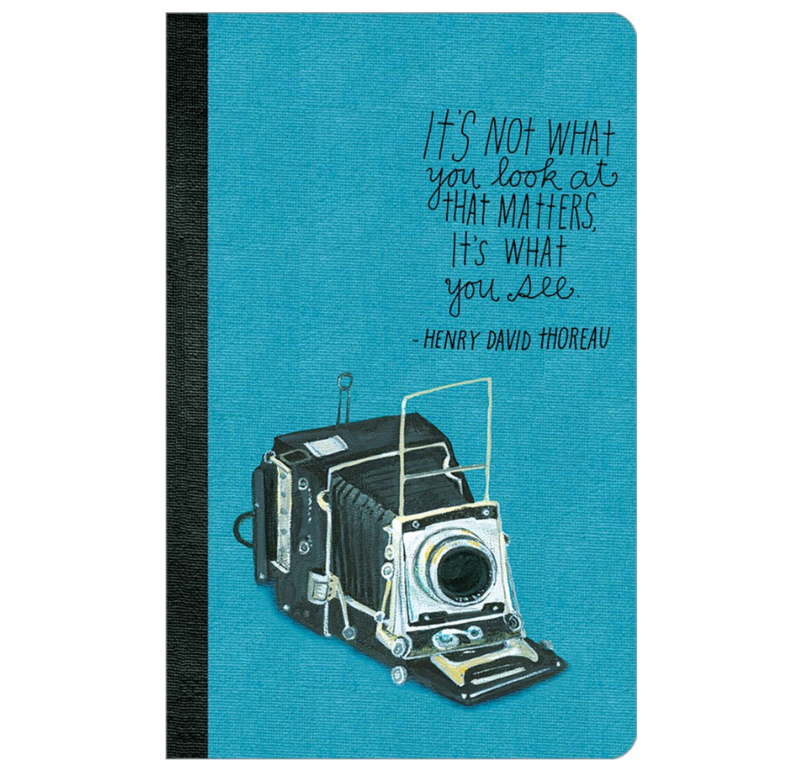 The front of this thin journal says “It’s not what you look at that matters, it’s what you see.” The inside has lots of quotes from other famous photographers! 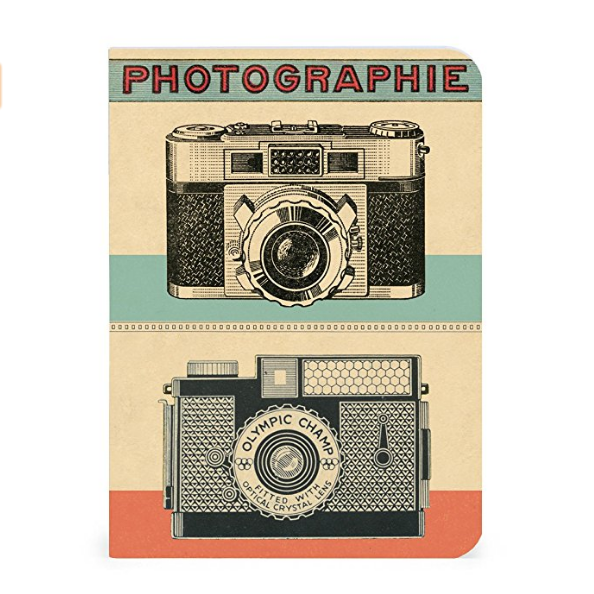 These is a set of 3 mini notebooks, all with vintage style covers. 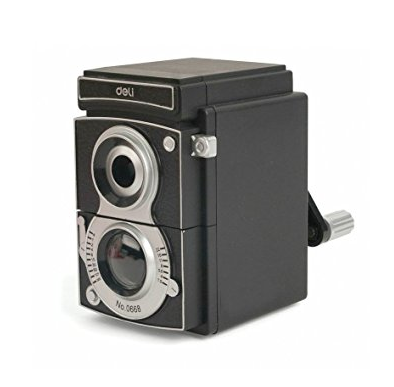 One is a camera, one is an telephone, and one is a typewriter – might hit the spot for someone who loves vintage things!. Caravan Shoppe is one of my favorite places to go for fun illustrations – and they’re offering this printable card file for free! Cute and easy to print at home in a pinch. Custom notecards? So cute! These would be great for to buy for yourself or to give a friend who loves cameras. 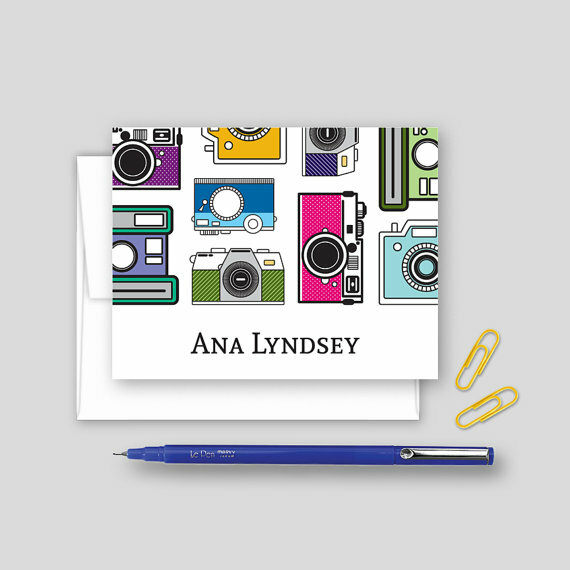 This custom stationary set has a journal, notecards, and personalized flat cards, all in a bag for gift-giving! You can also order each item by itself instead of in a set. 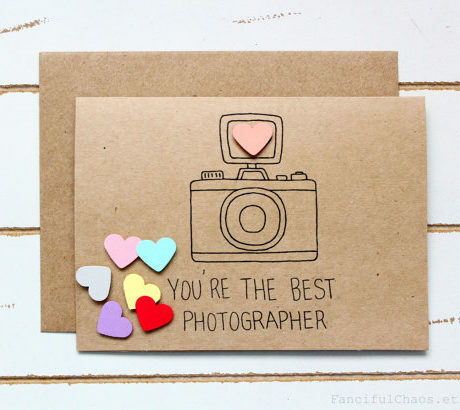 If you just need one card for a special photographer in your life, this is the one! It comes in white or kraft, and with a handful of multi-colored hearts, to stick on the the camera, and then use as confetti. 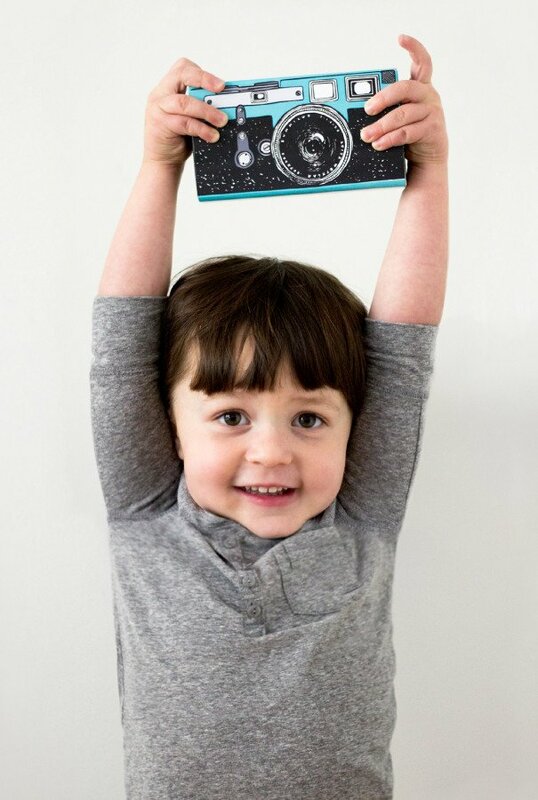 I would love to get a card like this from a client, with a heart-felt note. 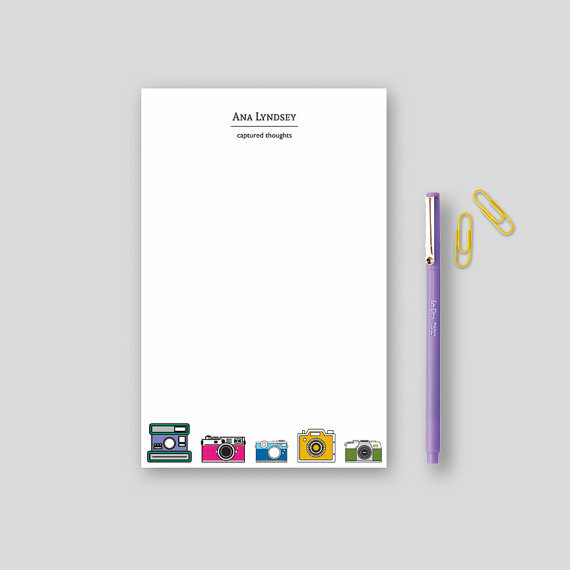 Here’s a notepad you can customize with a name! 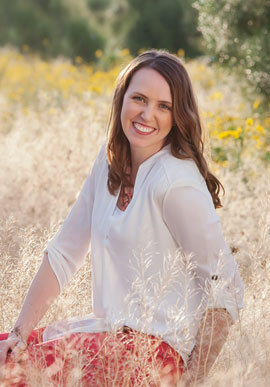 This would work great for a mom with a photography business to keep handy. 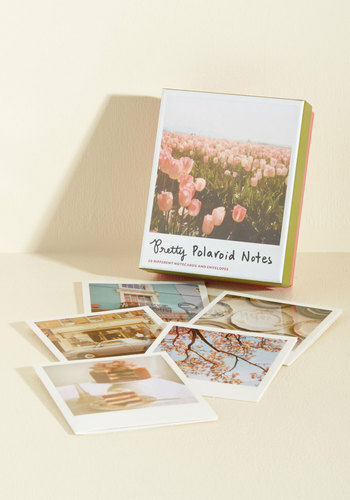 This is a set of 20 pretty cards with vintage polaroid pictures on the front, and space to write inside. I think any one appreciate these cards, photographer or not! 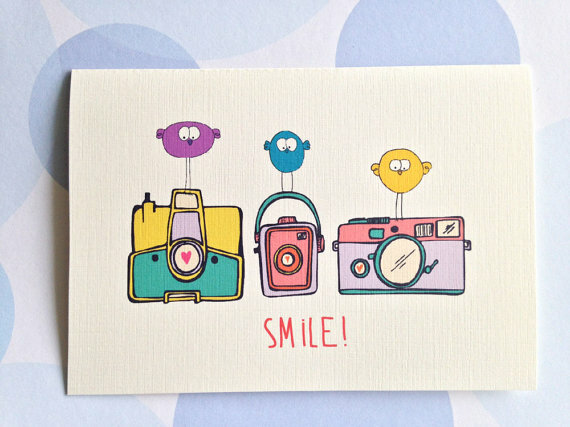 These whimsical cards have such a fun illustration on top. Cute, fun, and blank inside… I’d say perfect! What in fun concept! This vintage-inspired camera is actually made out of stamped cardboard pieces that you assemble yourself! 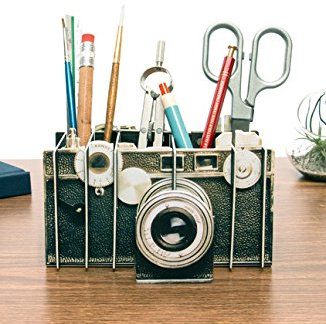 The unique construction leaves plenty of spaces to organizer your pens and pencils on your desk. These intricate paper cameras are so unique! I had to include them here because I’m always a fan of pretty things you can make with paper. 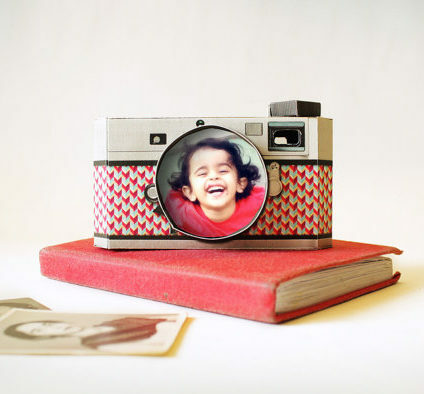 There’s a pretty yellow one here, and a red one too, and you can even slide a photo into a slot in the lens to display! This is one of my favorite shops, and one of the best art projects with kids! It’s an instant download with tons of options: there’s full color printables or B/W for kids to color in … and you can fold them in to boxes, or modpodge them onto the wood blocks for a toy. Plus, there’s tons of different camera options! …Don’t office supplies make you happy? Me too! 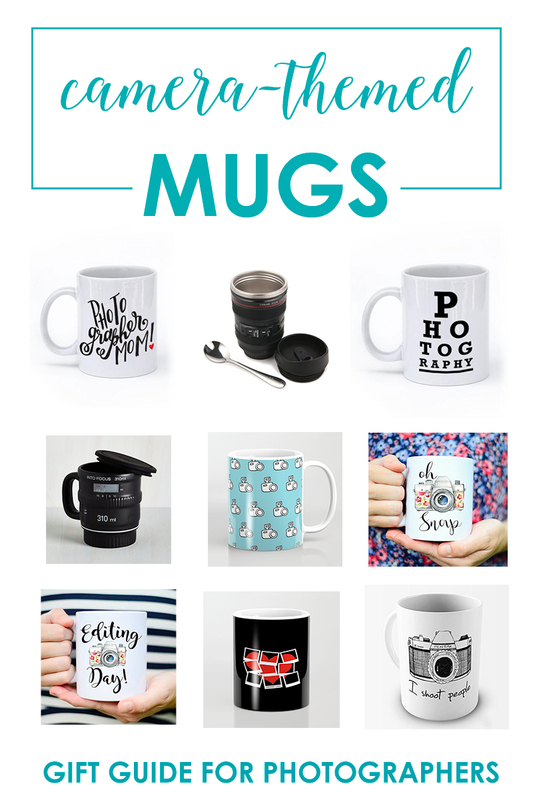 … And you should definitely check out the other gift guides in my Ultimate Gift Guide For Photographers and Moms!